Daylight bombing raids over Germany were quickly abandoned by the RAF because of very heavy losses and thereafter they mainly flew at night. 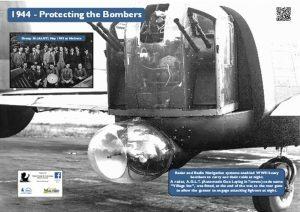 German night fighter aircraft would attack the British bombers from behind so there was a requirement for the rear gunner to detect hostile aircraft at greater than visual range in the dark. 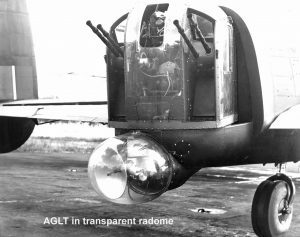 TRE designed the AGLT radar system fitted in the rear gun turrets of heavy bombers, which allowed either manual or automatic searching of air space behind the aircraft. When a target was acquired the guns were automatically slewed to the target position and a synthetic target was projected on the gun sight. The synthetic target gave an indication of range and when centred on the gun sight graticule, the correct offset was fed to the guns. An audio warning was given over the aircraft intercom as a series of pips as the target range decreased. Blind firing was therefore possible. However, operationally this was not permitted, as no reliable Identification Friend or Foe (IFF) was available at the time as it was still being developed at the end of the war. 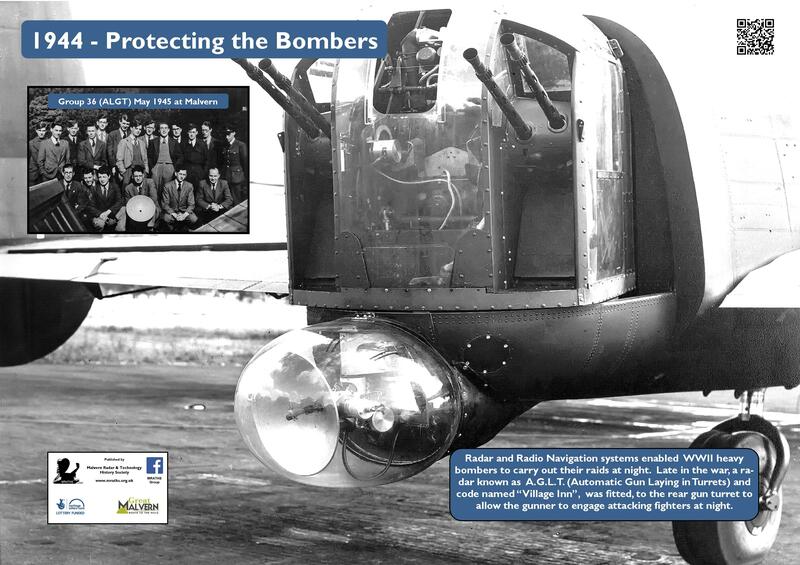 The most promising equipment IFF (known as “Liquid Lunch”), which used AGLT’s own radar transmission to interrogate a responder in the target required further work in 1945. An interim system (known as Type Z), which provided some measure of identification was in use. 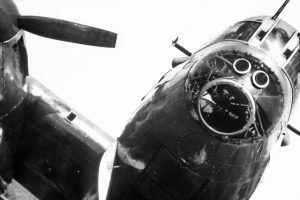 It involved motor driven cams which flashed a coded signal from infrared lamps of the (friendly) target, observable with an IR telescope fixed to the gunner’s sight arch along with the gun-sight and the AGLT collimator. The code was changed for each mission. At Defford, four Lancasters were fitted with AGLT, using the Fraser Nash 4 gun turret. Most operational AGLTs were fitted to the Boulton-Paul 2 gun turret. 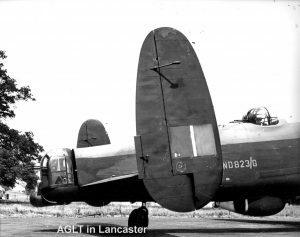 AGLT Mk 1c was in service from 1944 and more than 2000 operational sorties had been flown with AGLT equipped aircraft (Lancasters, Lincolns and Halifaxs). This system required the harmonisation of the radar and the guns and the gunner to manually search the air space to the rear of the aircraft. It was primarily used as a tail warning device.